See the amazing Archway, the East Alligator River and Minkinj Valley, Jabiluka Mine site and Mudginberri Outstation. Take in the impressive views of Magela Wetlands and the Ranger Uranium Mine before landing back at Jabiru Airport. See all the sights of the Kakadu National Park including Dinosaur Valley and the winding beauty of the East Alligator River. 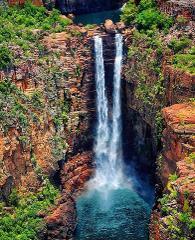 During the wet season, travel along the escaptment to witness majestic waterfalls of Arnhemland. 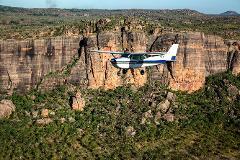 This is the biggest and best scenic flight available in and around Kakadu. EXCLUSIVE to the Scenic Flight Company, see it all with this 2 hour scenic flight.